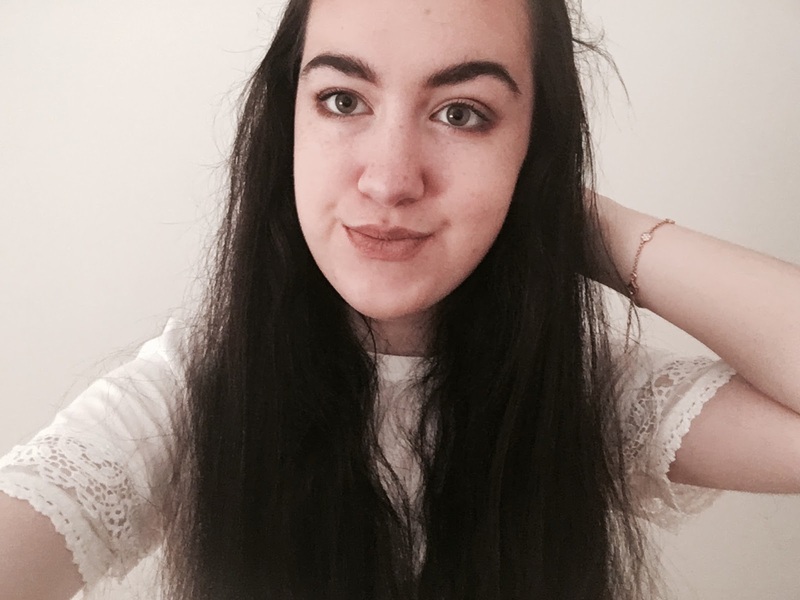 Recently I went on a trip to Liverpool and bought a few items of clothing - I actually didn't buy any makeup whatsoever, can you believe it? Although it is because I'm waiting until I go to the duty free at the airport when I go away soon. So while I wasn't shopping for makeup I managed to find some amazing clothes finds for some really good prices. Firstly I headed to Hollister, since it is one of my favourite shops and had a sale on. One of the items I ended up getting was full price, this lace vest in blue. They did a selection of colours, from burgundy, white and black but I settled on the blue because it's totally different to everything I own and for £15 I thought it was really nice. 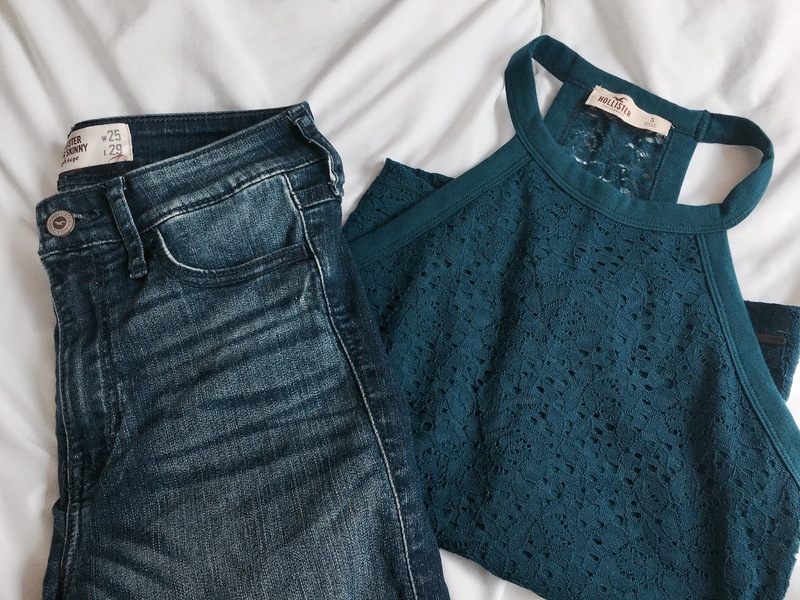 I also picked up a pair of jeans from Hollister from their sale, where jeans were only £15 each which is amazing since usually they are about £40. I bought a pair of their high rise super skinny in a mid wash blue with rips in and they are such good quality. Next I went to SuperDry, a shop I haven't actually been to in ages, but I thought I would pop in since they also had a sale on. There I found out SuperDry do the most amazing selection of summer clothes, all on sale half price. 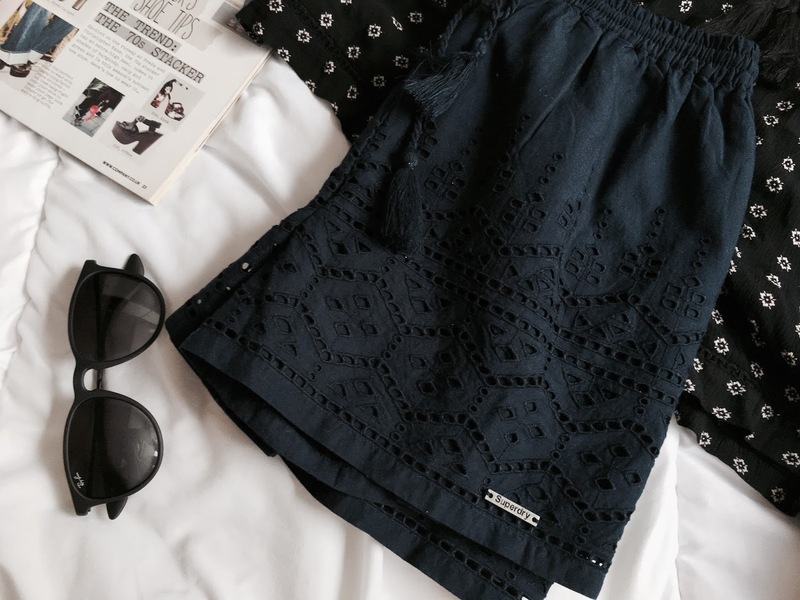 I got a pair of navy shorts which are so comfortable and a playsuit. 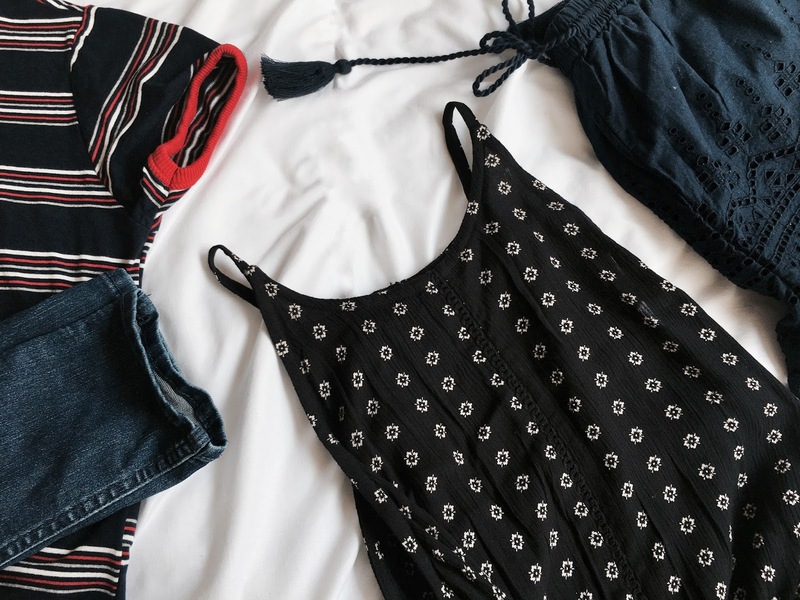 I love playsuits in summer and I wanted one for wearing in the evening on holiday. I love this one I found for £20 on the sale; normally I wouldn't go for a playsuit predominantly black (I like a contrast to my long, dark hair) but I really like it on and knew I wouldn't find one I like more, especially for the price. In Pull & Bear I got a lovely striped t-shirt which was only £9.99. I love checking out the Pull & Bear store in Liverpool since there aren't many round here and their clothing is so nice and inexpensive. 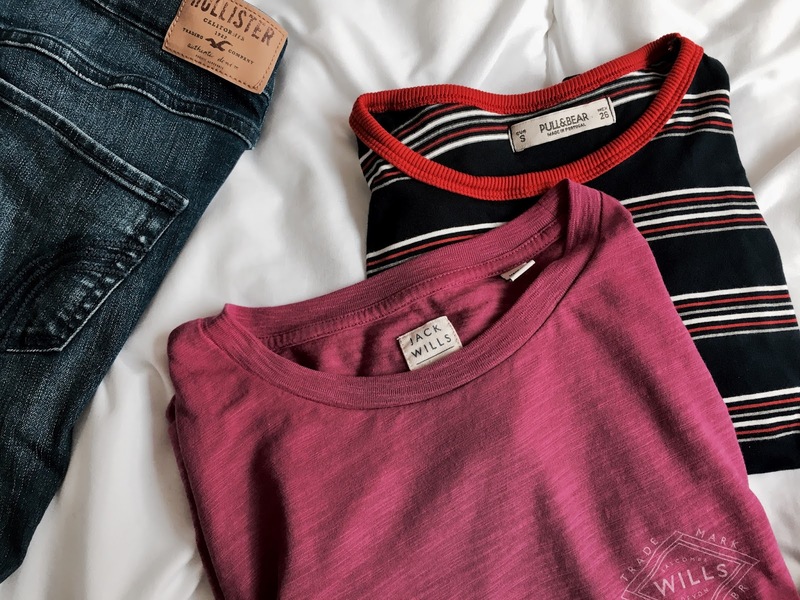 I also bought another t-shirt from Jack Wills who had a sale on. I wouldn't normally buy such a colourful t-shirt nowadays (I mostly live in burgundy, navy or white) but I love the style of it, it's more cropped and boxy which I find so flattering to wear with high-waisted jeans and it was £9.95 so really good value, since Jack Wills t-shirts are great quality. Something I was on a hunt for this trip was a pair of denim shorts which I managed to find in Forever 21. They were so comfortable when I tried them on and exactly what I wanted - I thought they were great for the £13 it said on the tag, but when I got to the till they were only £4.99 which I was amazed at. The final item I picked up was this blush pink sweater in Topshop which has "New York City" embroidered on it. Again, I thought the price of it was really good for £24 it's really nice quality which you would expect from Topshop, and so comfortable. I literally live in sweaters in the autumn (and on the dull days in our British summer) so I know I am going to get tons of wear out of it. Have you bought anything nice recently? I'd love to hear in the comments! I've already started shopping for the autumn and colder weather. Your Topshop Jumper looks gorgeous and you are so pretty! Thank you for posting this! 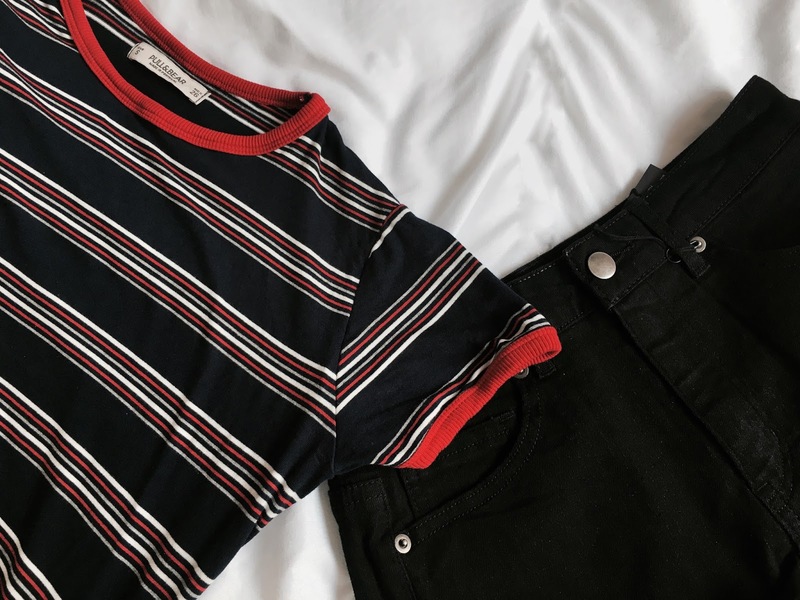 I love the little black striped top that you picked up! I do love shopping for summer clothes, but shopping for autumn/winter is my favourite. You got really cute stuff! Have a wonderful week! Loved all these clothes, your were so lucky with all of your sale picks! Loved this haul and I love the look of that Pull & Bear top, it's super cute! Such a nice haul! I have been dreaming about those Superdry shorts, but haven't found them yet in the stores! Loving the haul and loving your blog!